Protocol implementation : 1 : divert one crane. 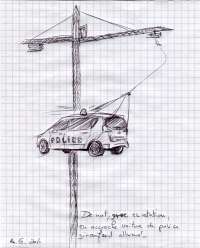 2 : divert a police car equipped with a beacon. 3 : assemble the grapple crane car. 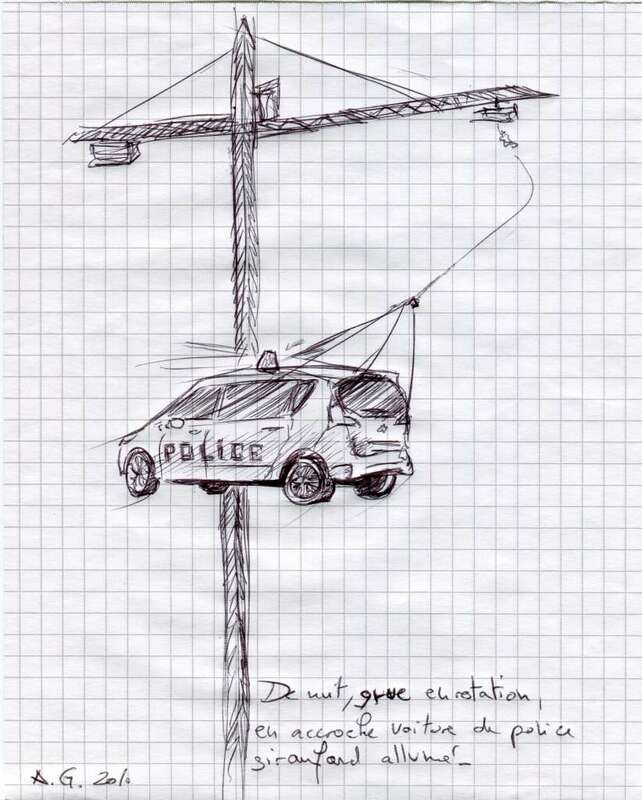 4 : the crane to rotate continuously and activate flashing lights police car. 5 : demanding one with a photo or videography.